‘Tis the season of giving. ‘Tis the season of company holiday parties. Now more than ever is the season to build camaraderie and loyalty amongst your employees. 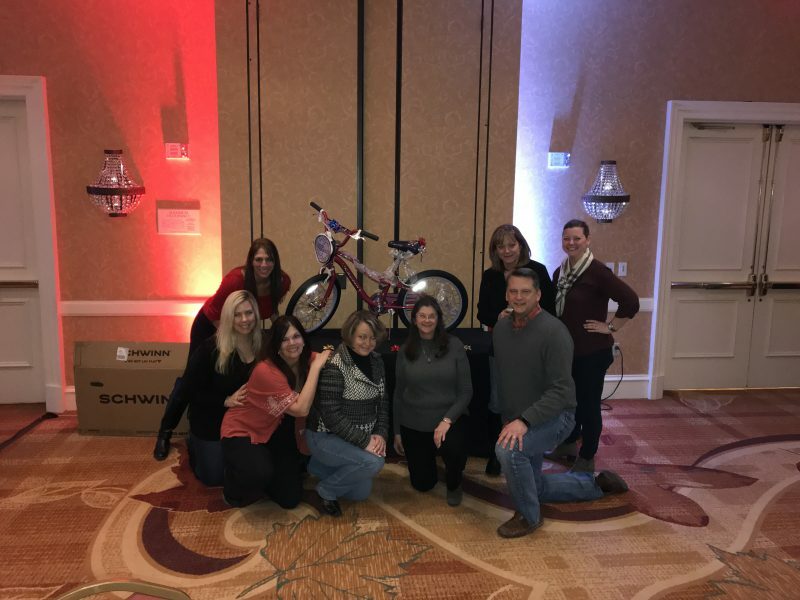 So, in tying all these thoughts together, Xplosive Entertainment had the opportunity to provide a fun, team-building experience for a corporate client this December while creating an opportunity for this company to show it’s charitable side. The Bridgewater Marriott, located in Somerset, NJ, was the venue selected by Terumo for their annual holiday event. Committing to over 100 guests, the management team of Terumo challenged Jordan Marshall, an owner at Xplosive Entertainment, to create a fun and exciting environment for their guests. Karaoke was originally suggested by Terumo. Jordan liked the concept, but decided to one-up it. He proposed a “Build a bike” competition. A successful build and a proud team! Xplosive Entertainment arrived the morning of December 8th with ten different children’s bikes. These bikes were new and still in a box. Each bike varied in size, color and specs. Some had pegs, others had shocks, some baskets, fenders, hand breaks, etc. After splitting the participants into teams, additional challenges were posted. Xplosive provided tool kits, but rather than making it easy, the tools were all mixed in a large bin. Each team was only permitted to have two tools in their possession at any given time. There were not enough tools for each team to simultaneously have a wrench or pliers, therefore, while competing for the fastest build, teams also had to negotiate between each other to share tools. Once completed, a second challenge was posted. 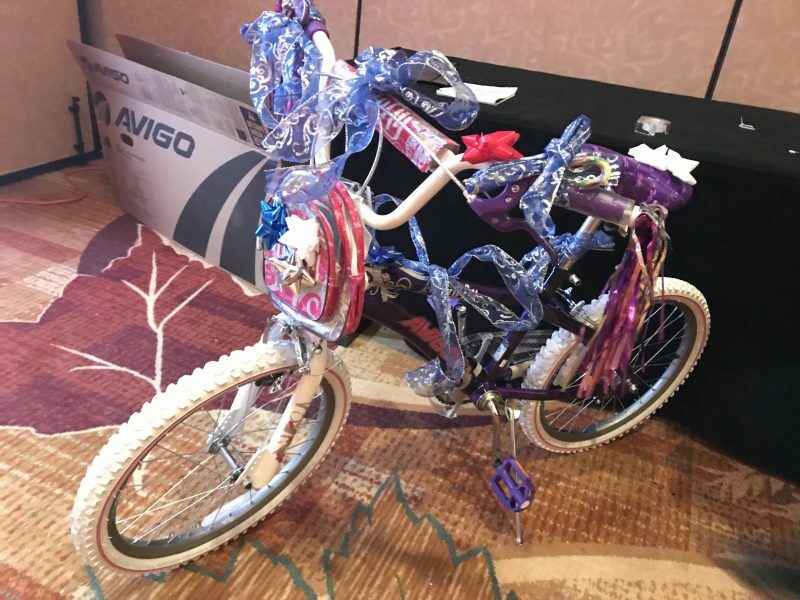 Each team was challenged to decorate their bikes too. Ribbons, wrapping paper, bows, etc. were all provided. Following the event, Xplosive Entertainment proudly donated the ten bikes to two separate charities. 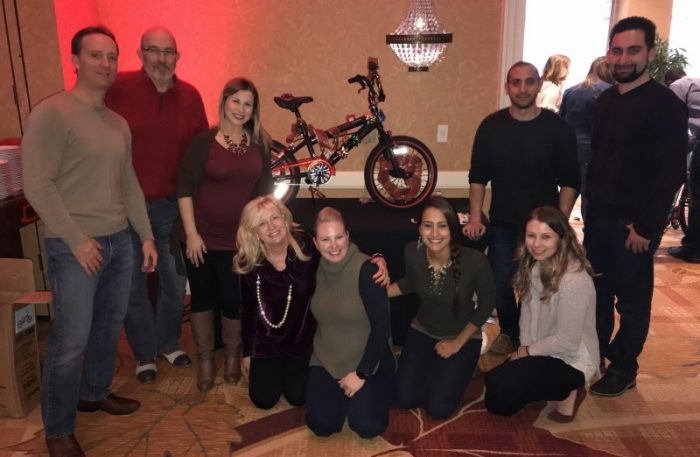 Oceans of Love, located in Tom’s River, NJ and The United Way’s Central NJ branch, located in Farmingdale, NJ were the recipients of these new rides. We are glad to see our clients donate to charity and happy that we were able to facilitate a fun, new program for a company. It was a “Feel Good Friday” for all involved!